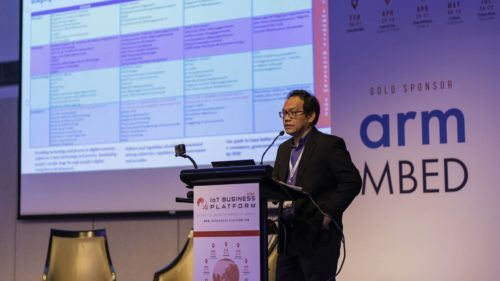 As the year is coming to an end, I will be sharing some of the key discussions regarding IoT development and plans in the region in 2018 that were shared in our Keynote Session at the 20th edition of Asia IoT Business Platform in Singapore early this year. We had government representatives from Indonesia, Malaysia and Thailand - I will start off with Indonesia for this first post. Indonesia was represented by Pak Gunawan Hutagalung, Director, Directorate General of Post and Informatics Operation, Ministry of Communication and Information Technology (MCIT). He began his sharing by stressing that IoT development would be crucial for Indonesia's economy in the near future. IoT would be a focal point in several government initiatives too such as the Industry 4.0 initiative, Making Indonesia 4.0, and thus sound policy and clear roadmap are needed to drive IoT adoption in Indonesia. IoT presents a lot of opportunities across verticals and we have witnessed a lot of use cases of IoT in smart city projects and transport and logistics sector in Indonesia. At our gathering in Indonesia, Bu Ahyani, Head of ICT Department of Bandung City, shared on how Bandung government is utilising IoT to understand their citizens better and improve the standard of public services. Industry players in the transport and logistics sector have started implementing IoT to drive operational efficiency and improve customer experience too such as the case of Cikarang Dry Port and Angkasa Pura. Pak Gunawan highlighted the important role of telcos as well. He believes that telcos should act as a key enabler in the IoT ecosystem by providing the essential connectivity infrastructure. Telcos also have a good starting point to drive digitalisation since they already have a strong customer base. However, solely relying on providing connectivity infrastructure as their main business won't be sustainable, especially with the entrance of new players providing unlicensed spectrum-based connection technologies and solutions. Telcos in Indonesia have realised these opportunities and challenges and at our press briefing in Jakarta in July 2018, our telco partners all agreed that the role and business model of telcos have shifted to changing market. Telcos are now playing a pivotal role as the hub of IoT, the integrator and accelerator of IoT ecosystem. 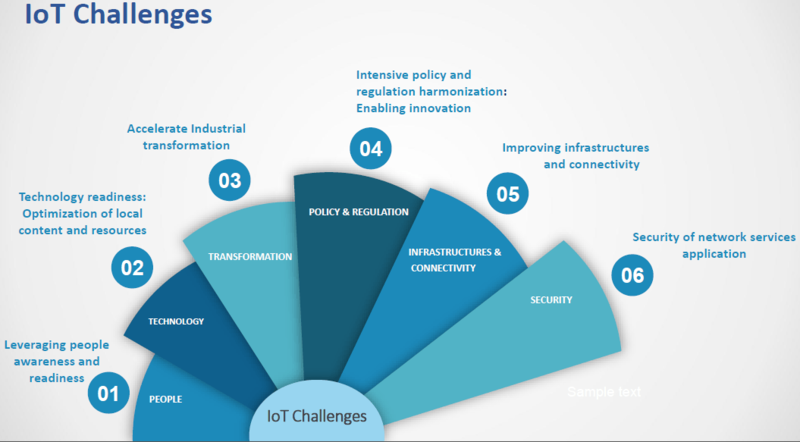 However, there are still many challenges for IoT adoption in Indonesia - Pak Gunawan believes the main ones are infrastructure and connectivity, policy and regulation, and people awareness and human resources. Improving the nation's connectivity is a key project by MCIT in 2018. Indonesia has more than 500 regencies and cities and many of them still do not have good connectivity infrastructure, especially the eastern side of Indonesia. 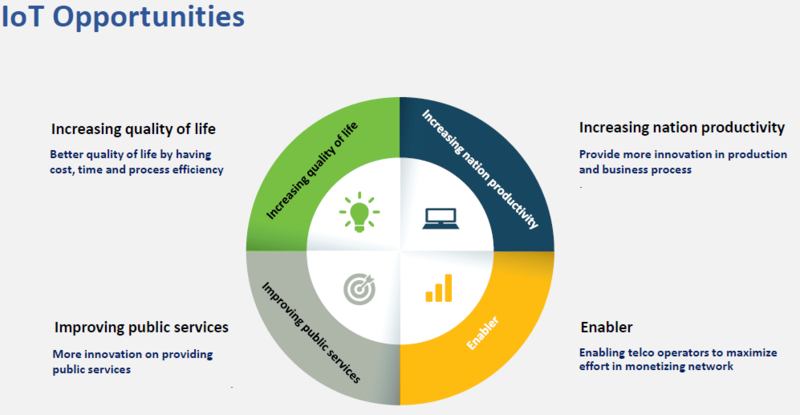 Under the MCIT Strategic Plan, all cities and regencies in Indonesia would be able to access high speed broadband and 625 base transceiver station would be built on Indonesian borders to provide coverage to more than 1,000 uncovered villages. Pak Gunawan believes that with good connectivity coverage across regions in the country, the adoption of IoT would grow exponentially. Sound policy and regulation are critical for IoT to flourish. Many stakeholders are waiting for the government to come up with proper regulation before they embark on full scale IoT projects as to prevent investment loss. MCIT has acknowledged this too and Pak Gunawan shared that IoT Roadmap is currently being formulated. At our gathering in Indonesia in August, the Draft IoT Roapmap was presented by Dr. Ismail, Director General of MCIT, to share the current development of the policy formulation as well as to get feedback from the enterprise end-users, solution providers and telcos. Latest development suggested that the IoT Roadmap will be launched very soon. In terms of people awareness and human resources, MCIT has encouraged the local stakeholders to be actively involved. MCIT has come up with several programs such as makerspaces and focus group discussions across cities in Indonesia. Telcos have also launched IoT labs to encourage local stakeholders to come in together and develop useful IoT solutions. We will be hosting a regional gathering in Singapore, the 28th edition of Asia IoT Business Platform, on the 15th January 2019 where ASEAN governments and key enterprises will be involved. Dr. Ismail will be sharing the latest development of IoT and enterprise digitisation in Indonesia and what the government is planning to do in 2019 in this gathering. Drop me a note at felix@industry-platform.com if you are interested to know more about the latest IoT development in the region or if you would like to attend the gathering in Singapore.